Swing Science is the exclusive North American distributor for Epon Golf. If your Retail Operation focuses on “Ultra-Premium” golf equipment and you have interest in becoming an Authorized Epon Dealer, contact the Epon Program Manager Dustin Vaughn at dustin@swingscience.net for more information. Manufactured in Yokohama, Japan, Nippon golf shafts set the industry standard for quality and are without peer. A direct benefit for nXfit Studios is the availability of Tiered Pricing for program participants. Enjoy the industry’s most aggressive DEMO program and receive significant discounts on all DEMO shafts. 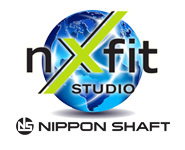 In addition to Nippon’s full line-up of catalog models nXfit Studios will have access to a multitude of shaft designs and finishes which are only available through the Studio Network. Contact a Swing Science representative today at 800-783-0196 and find out if your retail shop qualifies for the nXfit Studio Network. You can also contact the nXfit Program Director Caleb Smith at caleb@swingscience.net. Swing Science is pleased to announce the re-launch of its Custom Fitting Center program which will give clubmakers direct access to an exclusive line of clubheads, shafts and grips designed to optimize the custom fitting process and give consumers an attractive price point for custom fit golf equipment. With an emphasis on game improvement equipment, our FC-ONE Series of clubheads and shafts provides the clubmaker with fitting options for juniors, beginners and intermediate level players. Our new FC-ONE Wedge offered in a raw, nickel or black finish is designed for the intermediate to advanced player which includes a raw finish for custom grinding. What’s more, the introduction of our new “Fitting Bag” makes custom fitting easier than ever with our color coded quick release fitting system. Our goal for 2016 is to sign up 500 Swing Science Fitting Centers to represent our collection of custom golf club components. In addition to having exclusive access to many of our new designs, Fitting Centers will also receive the most competitive pricing on all products offered by Swing Science. We will also be featuring all of the “Fitting Centers” on the Swing Science corporate web site under the Dealer Locator so consumers can quickly find your business. Contact your sales representative today at 800.783.0196 to find out how your retail shop can qualify for the program. Swing Science is pleased to announce its role as the Official Launch Partner of the brand new C6 Wood Series by Mitsubishi Chemical. The C6 was introduced as an after-market only technology to give Retailers an exclusive option for fitting with a premium brand that offers competitive price points. Two separate profiles make up the C6 Series that will allow clubmakers to fit most golfers swing requirements, with an emphasis on fine-tuning. Call Swing Science today at 800-783-0196 to find out how your Retail Shop may qualify to sell Mitsubishi Chemical / Graphite Shafts. Clubmakers, Swing Science is pleased to announce its new partnership with UST Mamiya and its instrumental role as a Certified TSPX Service Center. What this means for existing TSPX accounts, is an additional point of contact for both technical support and order fulfillment. For instance, Swing Science has invested in an on-line ordering platform exclusively for TSPX dealers making it easier than ever to order your merchandise on your schedule. If your shop is not currently in the program, then call us today and ask how your business can become part of this unique network of custom fitters.